Over the last few years when we see an epic comic like Superior get released and then delayed for eight months it can be a good sign the series suffered the same fate as many great stories like Frank Millers Batman : The Boy Wonder. But when an epic comic like Superior comes back with two issues in the same month it’s a good sign the series is doing a lot better than anyone thought. If you haven’t read any Superior yet it comes highly recommended. Mark Millar has written some epic comic but the series could be used as a template for a well rounded modern super hero comic. It has the usual alien monsters and and extravagant saves but also has another layer to the story. 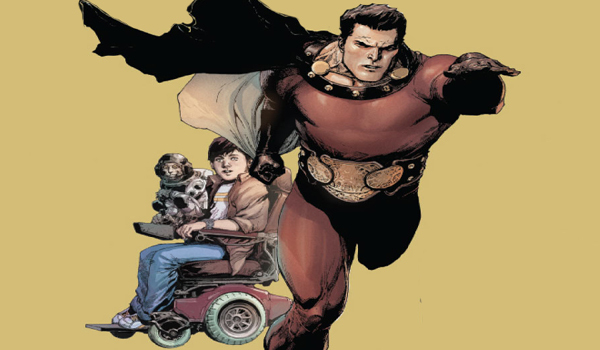 A layer of real character development in Superior’s origin he was far from born with these abilities and gets a chance to leave his wheelchair to live as a god for a week. Issue five returned with a fairly amazing come back. Superior single handedly takes out the world terrorists without any casualties and lives a week living out his wildest dreams. Without giving too much away issue six leaves our hero with the ultimate choice which regular readers might have seen coming. Issue seven should be out soon as a double sized final issue to this series but a second book is also in the making along with the movie which in good hands could be Batman good.